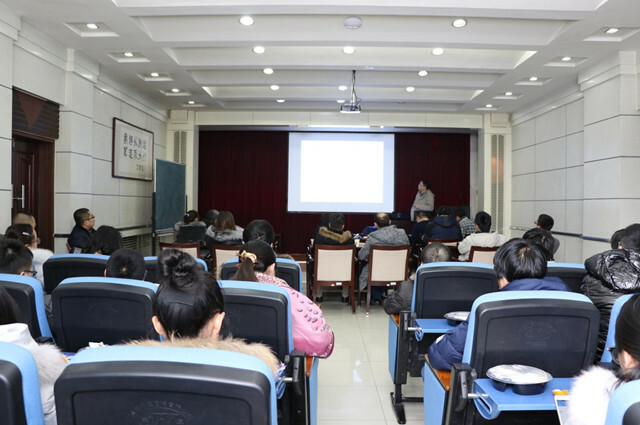 Dr Wu Yuanwei, from National Astronomical Observatory of Japan, gave us a presentation titled “VLBI astrometry and galactic structure” on 6 January, 2017 , at the invitation of Cui Lang, associate research fellow of Xinjiang Astronomical Observatory (XAO). As one of the key figures of BeSSel (The Bar and Spiral Structure Legacy), Dr. Wu focused on the research of high precision astrometry with VLBI, galactic structure and maser search. In his presentation, he gave an introduction of the important role of VLBI techniques in modern astrophysics and astrometry, and also showed the extensive use of VLBI techniques on deep space exploration, geodetic survey and artificial astrometry. And what’s more, he objectively evaluated the current work of EAVN (Eastern Asia VLBI Network), and the operation mechanism that worth for China to learn was also presented. He showed his great expectation on the CVN (Chinese VLBI Network) facility upgrading and operation mechanism building, hopes China would gain more rights and leadership in international cooperation and competitions. The scientists and postgraduates of XAO are intensely interested in the VLBI frontier science, and they had discussion with Dr. Wu on the spiral arms of the galaxy , milky way galaxy maser, super massive black hole detection and other important research issues. We just step into this new year with the cheerful memories of the past year, the XAO Youth Promotion Association had gained a lot of supports and achievements. We had made favorable research environment in 2016, and we will constantly promote our research platform, make great contribution to the Chinese astronomy.